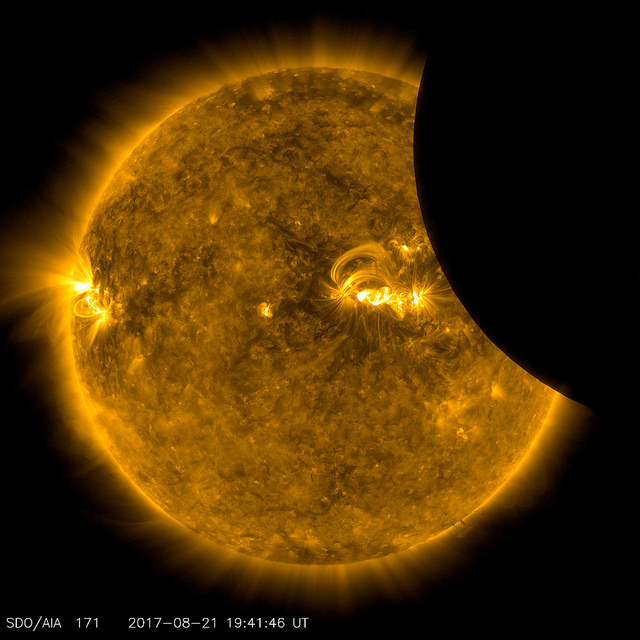 Solar Eclipses, even partial eclipses, are astronomical events that generate a lot of interest. 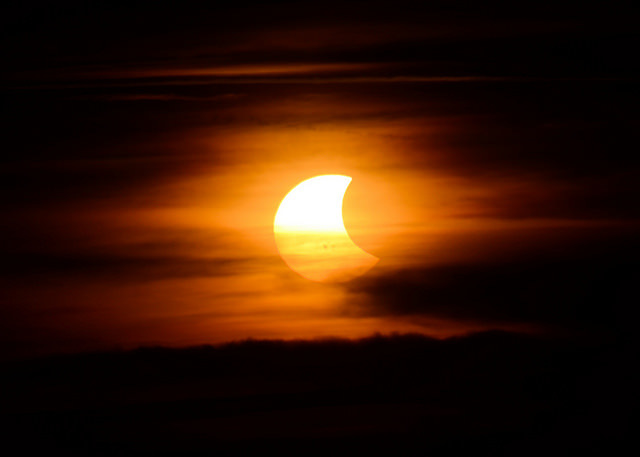 On July 13, there will be a partial solar eclipse that will be visible in Tasmania, Melbourne and Adelaide. If you live in the right location, you should be able to see the sun with what looks like a bite taken out of the solar disc. A partial eclipse is when the moon only covers part of the sun. Unlike the full solar eclipse, a partial eclipse the Earth, Moon and the Sun are not fully lined up. While the sun's light will dim a little, the sky won't go dark. How much will be covered by the moon depends on both the eclipse and where you are. While the apple isle will get a good view of this one, people in Victoria will only see a very small eclipse and in Adelaide, it will barely be noticeable. First of all, don't look directly at the sun. 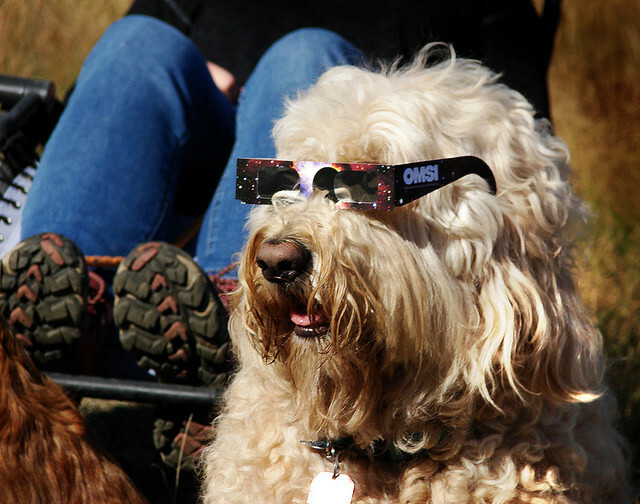 You can either buy eclipse glasses or eclipse lenses for binoculars and telescopes. You can also buy welder's glasses with a rating of 14 or higher. A fun school holiday project is to build a solar projector. This is basically a pinhole camera which you use to project the sun onto a piece of paper. You can also use a telescope or binoculars to do this as well. There are lots of tutorials online on exactly how. There are a number of things that people think that they can use, but please don't use them. These include any type of sunglasses or smoked glass. There have been myths about using colour film, medical x-ray film or floppy disks to view the sun safely. Unfortunately, these will not protect your eyes either, so please don't use them. The best location to see this eclipse from is Antarctica. I am not sure how many polar readers we have, but a quick shout out to anyone down at the south pole reading this. Luckily people in Australia's southern tip also get a good view of this astronomical phenomenon. This includes Tasmania, Melbourne and Adelaide. Yes, for once, Tasmanians (or is it Taswegians) get the best view of this event. The view won't be spectacular though, with only a small bit being taken out of the sun, especially if you are in Melbourne of Adelaide. Hobart: Begins 12:52 pm, Maximum eclipse 1:24pm, Ends 1:56 pm. Kids will be on school holidays at this time. So this can be a great activity to do with them, especially if done safely. Remember though, really only Tasmania, Antarctica and people out on boats in the southern ocean will really be able to see a worthwhile eclipse.